Bash, a new black character on Anne of Green Gables series Anne with an E, is in good company. A new generation of TV shows defy the expectation that historical TV series tend to focus on white people only. When actor Dalmar Abuzeid dons the shabby bowler hat of Bash, a newcomer on Season 2 of Anne with an E, he won't just be adding a character who didn't exist in the L.M. Montgomery books on which the series is based. He'll also become the first black man in the many adaptations of Anne of Green Gables, and one of a few non-white characters in historical TV shows in general. "It's been a dream," says Toronto-born Abuzeid of playing the young Trinidadian ship worker who befriends Anne's love interest Gilbert Blythe. "I started to put things together: 'Oh, wow, what does this mean for the story of Green Gables, my character, my introduction to it?'" It's something the show creator, Moira Walley-Beckett (of Breaking Bad fame), has given a lot of thought. "My master plan from the beginning has always been to make the world of Avonlea reflect the diverse colours of Canada." Walley-Beckett is part of a new trend that's changing the face of the period drama by featuring diverse characters in historically accurate storylines. From The Forsythe Saga to Downton Abbey, historical series have proven resilient contenders in the world of scripted television. But they've also been slow to evolve. The people in these shows rarely reflect the multicultural audience watching them today. In fact, some of the top British actors of colour, like Thandie Newton, have said their country's love of classical adaptations has meant few roles for them. (Newton is currently starring in HBO's Westworld, for which she just received an Emmy nomination). The justification for this enduring whiteness has often been historical accuracy. After all, it seems difficult to dispute that the incestuous circle of landed gentry portrayed in Downton Abbey would have included few, if any, people of colour (though the show did add a black character in its fourth season, in the form of a suave jazz singer named Jack Ross). But diversity doesn't have to mean historical inaccuracy, according to John Cooper, a historian at the University of York in England. 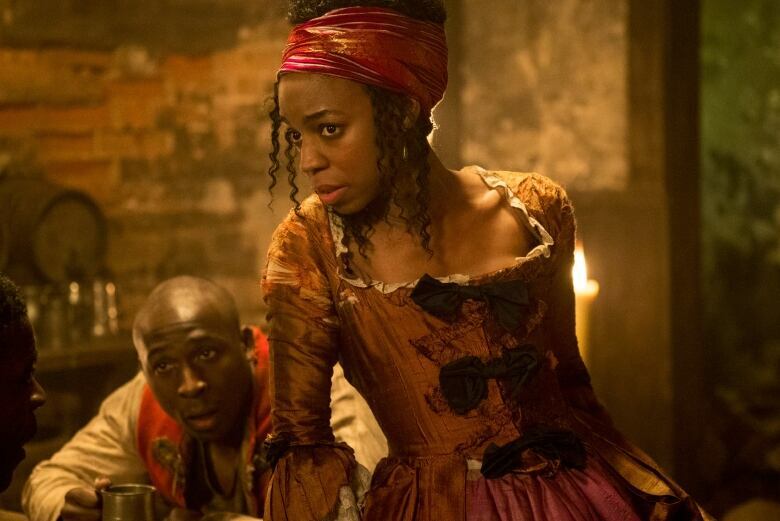 "Once you start to interrogate that idea of diversity as a category, you start to really search the historical records in a new way," says Cooper, who served as a historical consultant on BBC's mini-series Gunpowder. "You find, rather to your surprise, that that diversity is there, even in the deep past, even where you're not expecting it to be." John Cooper specializes in the history of Tudor England, a perennial favourite for TV adaptations. And even in that era, he says, there were non-white people to be found. London was a major trading centre where seafarers from around the world found themselves — and some stayed. It's just that most historical records tended to focus on the lives of wealthy, usually aristocratic, white men. But with deeper research, details can be found about the lives of poorer people or minorities, says Cooper. "For instance, for the black community for the 16th or 17th century London or Southampton or Bristol, we can actually go to baptism records; we can go to marriage records or parish churches and we can recover the stories of that resident population." And these long-hidden histories are now helping shape the narratives of a new slew of historical dramas. There is Hulu/Super Channel series Harlots, about two rival brothels in Victorian London, where the lead character, played by Samantha Morton, has a black British man as a romantic partner, and a runaway slave African-American woman as one of her employees. Last year, BBC aired The Miniaturist, set in the golden age of Amsterdam in the 17th century. The series, like the Jessie Burton novel it's based on, focuses on sugar-trading Brandt family and their black servant Otto, whose influence within the household confounds outsiders. For the creators of Anne with an E, adding diversity meant uncovering little-known parts of Canadian history. 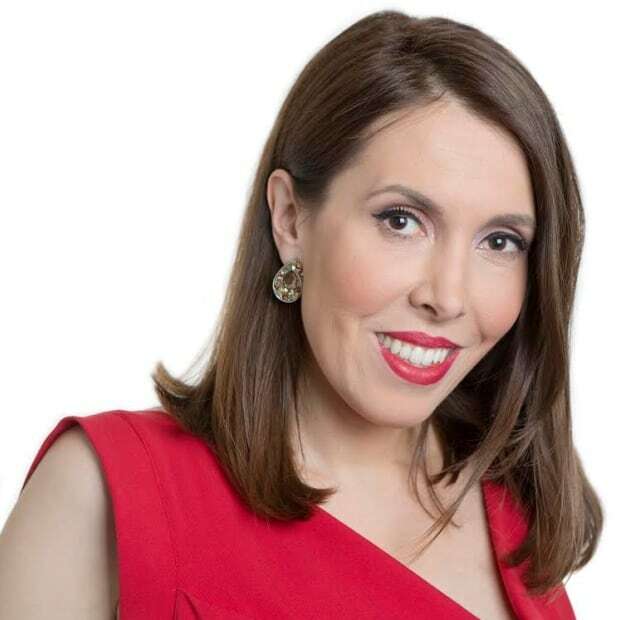 Show-runner Moira Walley-Beckett enlisted the help of TV writer Shernold Edwards, who is Trinidadian-Canadian. "I said to her, did you have any idea that there have been black people in Prince Edward Island since 1751?," says Edwards. She went on to tell Walley-Beckett about The Bog, a black settlement in P.E.I. she learned about while researching another project. TV writer Shernold Edwards working on a new script in Los Angeles. 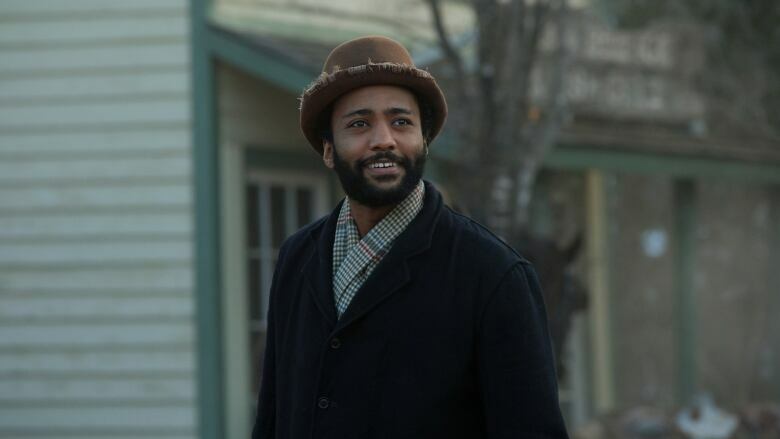 Edwards played a key role in developing historically accurate story lines for Bash, the new black character in Anne with an E.
"They came from the States as runaway slaves. They were former soldiers. Some people travelled across from the West Indies and they formed a community." That community, alongside Dalmar Abuzeid's Trinidadian seafarer Bash, will figure prominently in the new season of Anne with an E. True to the times, the journey for these black characters, especially Bash, will not be easy. "I wanted his experience to be what his legitimate experience would have been entering into that society at that time. So he encounters prejudice and intolerance and racism," says Walley-Beckett. And while Abuzeid's character is one of the first, it's not likely he'll be the last black character in historical drama. "I think the story of diversity in period drama is just going to grow and grow," says historian John Cooper. He's already lined up as a historical consultant on another series, where he's looking at the lives of the black population in Tudor England. "The interesting thing is, you don't have to fabricate those stories, you don't have to make it up. If you look hard enough, you can find stories that are genuine."